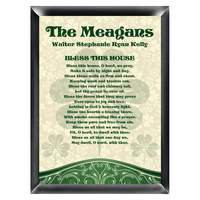 Add a little extra luck o' the Irish and some debonair style to your favorite guy's cash supply! 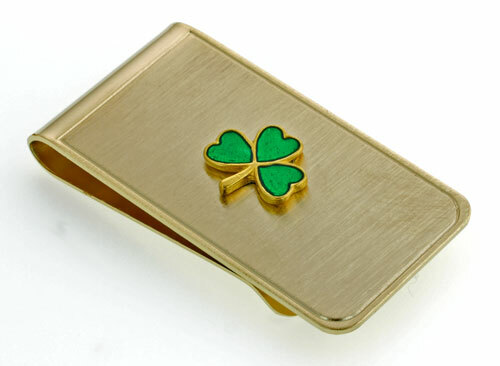 Our Shamrock money clip will show his pride in his Irish roots! 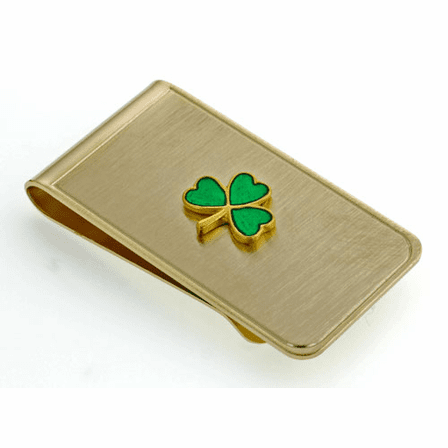 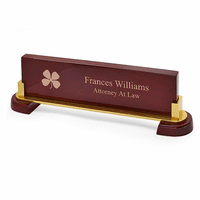 It's made of solid brass, with a kelly green shamrock emblem outlined in brass. 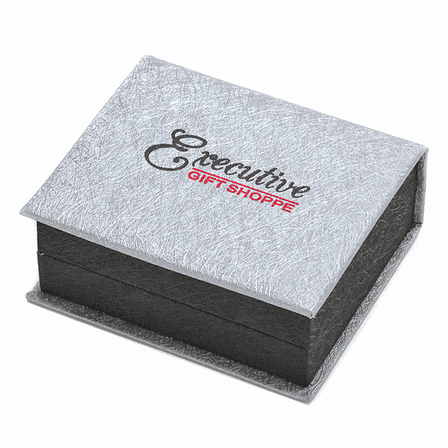 The French-fold style money clip holds up to 20 folded bills for easy access, and fits flat in a jacket or pants pocket. 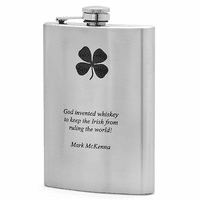 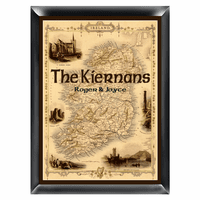 We will engrave it with his initials for free, and package it in a jewelry gift box, so you can surprise your favorite Irishman in style!